The Abbey-Principality of San Luigi is a sovereign theocratic principality founded on 25 August 1883 in the Fezzan whose government-in-exile is today based in the United Kingdom. On 22 March 1962, the then-Prince de San Luigi was the recipient of Letters Patent issued by His late Majesty King Peter II of Yugoslavia. The King’s act recognized the status of the Prince de San Luigi and further appointed the Prince to the ranks of the Royal Yugoslav nobility. The King had in 1960 accepted the High Protectorship of the senior chivalric Order of the Abbey-Principality, the Order of the Crown of Thorns. He maintained this protection until his death in 1970, and thereafter the High Protectorship has been left vacant in his memory. The Abbey-Principality of San Luigi was established by a group of French and Spanish Benedictine monks at the oasis settlement of Ghadames, in the Touareg-Azzar country (Fezzan/Fizzan, since incorporated into present-day Libya) on St Louis’ Day, 25 August 1883. The colony was independent according to its Constitution and the Revd. Fr. Dom Henrice Pacomez was elected the first Prince-Abbot. In 1885, following the murder of the second Prince-Abbot and the sacking of the abbey, the five remaining monks were forced into exile in Bunyoro-Kitara (today one of the constituent kingdoms of Uganda), where the Omukama (King), H.M. Chwa II Kabalega, recognized the Prince-Abbot, honouring him with the additional chiefly title of Mukungu, translated as “Prince-Governor,” and granted territory to the monastic community for the re-establishment of the abbey. Since 1896, the Prince-Abbots have been of French, American and English nationality respectively. The Abbey-Principality was re-established in California in 1935 and came to its present headquarters in England in 2015. The eighth and present Prince-Abbot, and the sixth Mukungu, is the Most Reverend John Kersey (regnal name Edmond III), who succeeded in August 2011. He is an educationalist, musician and clergyman. In 2015, the Prince-Abbot also succeeded his adoptive father Prince Kermit de Polanie-Patrikios as Head of the Royal House Polanie-Patrikios of Belarus and as Prince of Miensk. Between 1883 and 1899, and again between 1925 and 1929, the Prince-Abbots of San Luigi were in full communion with the Roman Catholic Church. Since 1929, the Abbey-Principality has functioned as an autocephalous jurisdiction representing a Western Orthodox perspective with close links to Anglicanism. It recognizes the Malankara Orthodox Syrian Church as its parent body, that church having been responsible for the episcopal consecration of Prince-Abbot Joseph III (reigned 1899-1929) as Metropolitan of the Old Catholics in the United States in 1892. The Order of Antioch, a religious order within the Abbey-Principality founded in 1928, commemorates this heritage and today functions as a Western Orthodox jurisdiction. Today, the Order of Antioch is a member of the International Council of Community Churches, which is a member of the World Council of Churches, Churches Uniting in Christ and the National Council of the Churches of Christ in the USA. A number of other religious bodies have been incorporated into the Abbey-Principality over the years. The Abbey-Principality formerly administered the American Council of Ecumenical Churches, a union of some twenty-eight institutions. In February 2015, the present Prince-Abbot became Primate and Presiding Bishop of the Apostolic Episcopal Church, a continuing Anglican jurisdiction that has been recognized by statute of the State of New York since 1932, and later that year he succeeded his adoptive father as Ecclesiast of all Byelorussia of the Byelorussian Patriarchate of St Andrew the First-Called Apostle. The Apostolic Episcopal Church has absorbed a number of historic Orthodox and Anglican communions over the years, including the Catholicate of the West, a reunion movement of the smaller sacramental churches established in 1944. As well as its ecclesiastical heritage, the Abbey-Principality is responsible for two historic Chivalric Orders, the Sovereign, Chivalrous Nobiliary and Religious Order of the Crown of Thorns, and the Sovereign, Knightly and Noble Order of the Lion and the Black Cross, as well as for the Grand Prix Humanitaire de France et des Colonies (which is the Cross of Merit of the Order of the Crown of Thorns). From 1960 onwards each Order was placed under a High Protector. In the case of the Order of the Crown of Thorns, this was the late King Peter II of Yugoslavia. The Order of the Lion and the Black Cross appointed as its High Protector the Crown Prince, now H.I.M. Emperor Akihito of Japan. At the same time, the Order of Antioch appointed as its High Protector H.I.R.H. Prince Louis Ferdinand of Prussia, who died in 1994, since when this position has been vacant. In 2012, H.M. Rukirabasaija Agutamba Solomon Gafabusa Iguru I, the reigning Omukama of Bunyoro-Kitara, who is the grandson of Omukama Chwa II Kabalega, accepted an invitation from the present Prince-Abbot to become a Royal Patron of the Order of the Crown of Thorns and the Order of the Lion and the Black Cross. A bilateral Treaty on Friendly Relations and Co-operation between the Abbey-Principality and the Kingdom of Bunyoro-Kitara entered into force at the same time. The Orders, whose membership is international and ecumenical, exist to recognize Christian charity and service, to defend the values of the Catholic and Orthodox faith and to support the re-establishment of the Abbey-Principality. While the Order of the Crown of Thorns is restricted to Christians and the Order of Antioch to clergy, the Order of the Lion and the Black Cross admits members regardless of their faith. 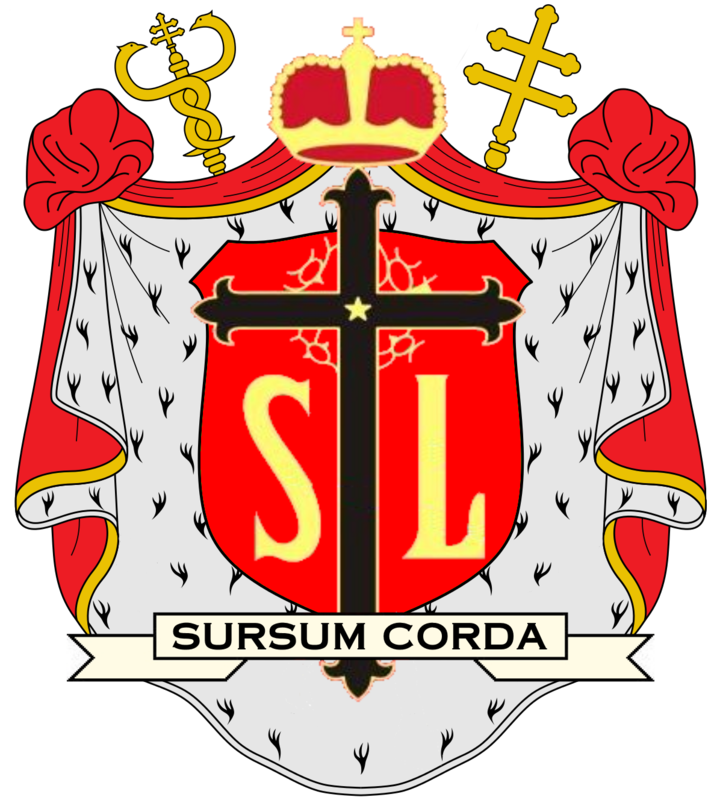 The past membership of the San Luigi Orders includes several saints of the Orthodox Churches, bishops of the Orthodox churches and the Anglican Communion, heads of Royal Houses, a former President of the United States, and other notable personalities. Through the Apostolic Episcopal Church and its umbrella body the Anglican Association of Schools and Colleges, the Abbey-Principality supports several educational institutions. Principal among these are the Western Orthodox University and the Western Orthodox Academy (founded 1945), which provide educational opportunities internationally through campus-based study and distance learning. The designation Abbey-Principality, once prevalent within the Roman Catholic Church along with that of the prince-bishop, reflects the fact that in the Fezzan, the Prince-Abbot exercised temporal power as a sovereign prince over its abbey and surrounding area. 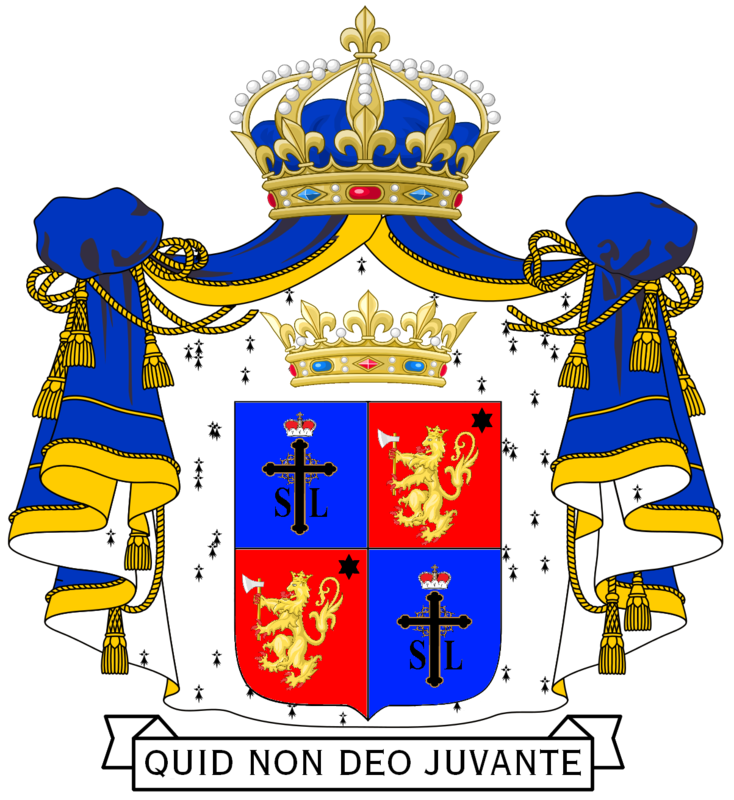 Today, having been exiled from its former lands (which were subsequently incorporated into present-day Libya), the Abbey-Principality no longer has responsibility for territorial governance, but continues to hold the jus honorum deriving from its former sovereign status as well as preserving for its head the rank of a Prince of the Church. The current activities of the Abbey-Principality consist in maintaining its church organizations, its chivalric Orders and associated heraldic college (the International College of Arms of the Noblesse, founded in 1925), its learned society, the Institute of Arts and Letters, London, and its educational and archival work. The San Luigi Orders Charitable Trust represents the San Luigi Orders, Royal Belarus and the Apostolic Episcopal Church in the United Kingdom and administers their activities with respect to charitable fundraising. The Trust is a member of the Small Charities Coalition and Charity Trustee Network and is recognized as a charity for tax purposes by H.M. Revenue and Customs under Paragraph 1, Schedule 6 of the Finance Act 2010.